The Book To Read: Desert Songs Of The Night. Desert Songs of the Night: 1500 Years of Arabic Literature is a new anthology of Arabic poetry and prose, published last year by Saqi Books. It reminded me of Tablet & Pen: Literary Landscapes from the Modern Middle East (2010, W.W. Norton & Company), which I really liked, so I decided to get my hands on Desert Songs of the Night as soon as possible. 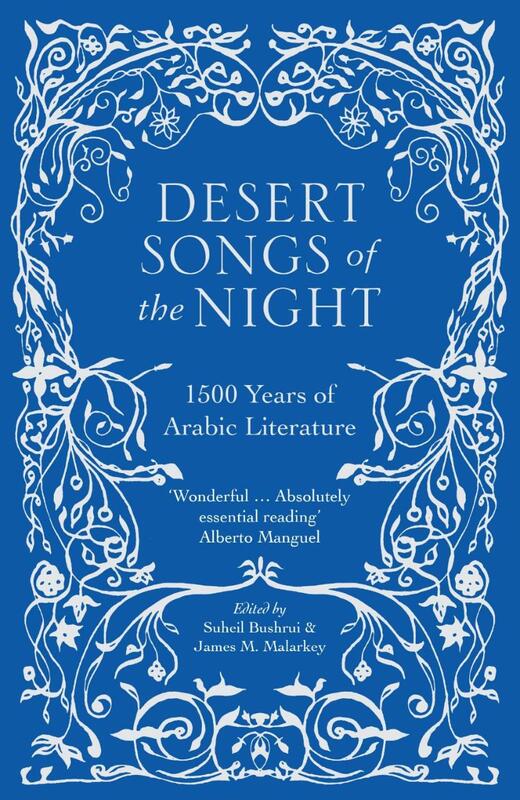 Desert Songs of the Night presents some of the finest poetry and prose by Arab writers, from the Arab East to Andalusia, over the last fifteen hundred years. It was edited by Suheil Bushrui and James M. Malarkey. I’ve read most of Bushrui’s work on Kahlil Gibran and was really enthusiastic to see him involved in this project. Bushrui died last year, so reading this book felt like the right way of paying respects. It wasn’t easy, and that is obvious when reading the book. The collection moves from the mystical imagery of the Qur’an and the colorful stories of The Thousand and One Nights, to the powerful verses of longing of Mahmoud Darwish and Nazik al-Mala’ika, and the resistance of the great Fadwa Tuqan. It includes translated excerpts of works by the major authors of the period, as well as by lesser-known writers of equal significance. 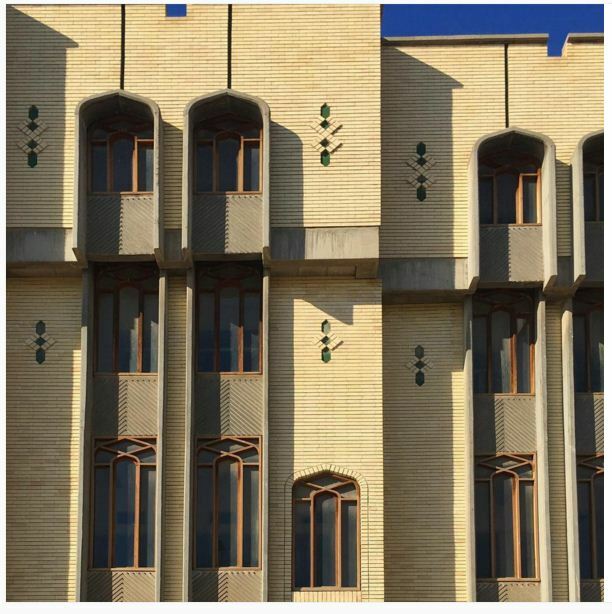 The editors stress that Arabic does not necessarily mean Islamic – in this anthology, there are many works by Christian and Jewish authors who formed an integral part of the culture of the Arab world. Most of this collection covers the seventh to the 15th century, and then the 20th century – the time of revival in Arabic literature. There are many good selections – interesting, unique, important works – but the book left me craving for more structure, for the links binding it all together (literature with the body of history and time). It would be amazing if each section included an introductory essay by the editors, it would make some of the writing much more understandable and allow the reader to connect all the dots. It would be nice to find out more about the authors and what their art meant in times and spaces they were living in. All of that being said, this is still a really important anthology and I highly recommend reading it. The variety of the collection offers a good glimpse of the diverse and beautiful world of Arabic literature. Like the old poet Abu Tammam, quoted in the book, described it: “Blood relationship we may lack, but literature is our adopted father”. The Art Of Mohammad Khayata. 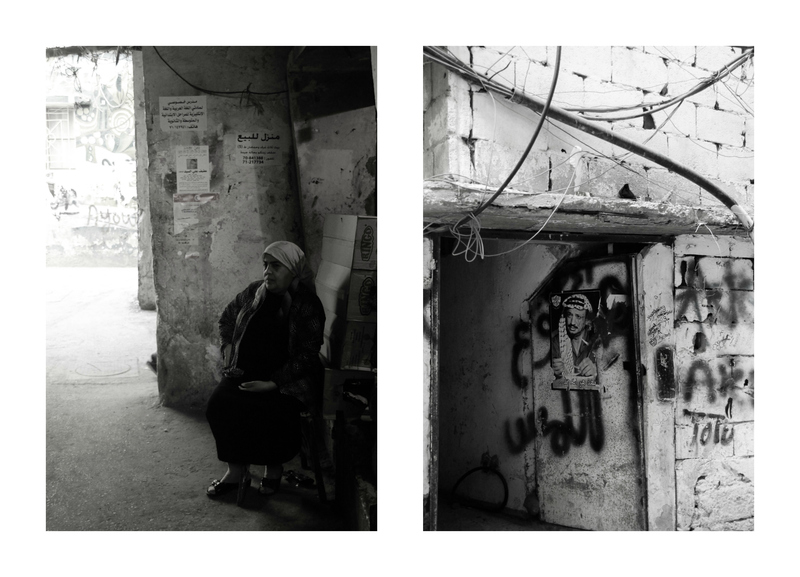 I was first introduced to Mohammad Khayata’s work while I was strolling down the streets of Beirut last November. On of his works (Walking on Thread) was exhibited in a gallery I passed by and it caught my eye immediately. I told myself I should remember his name and investigate more about his art when I come back home. 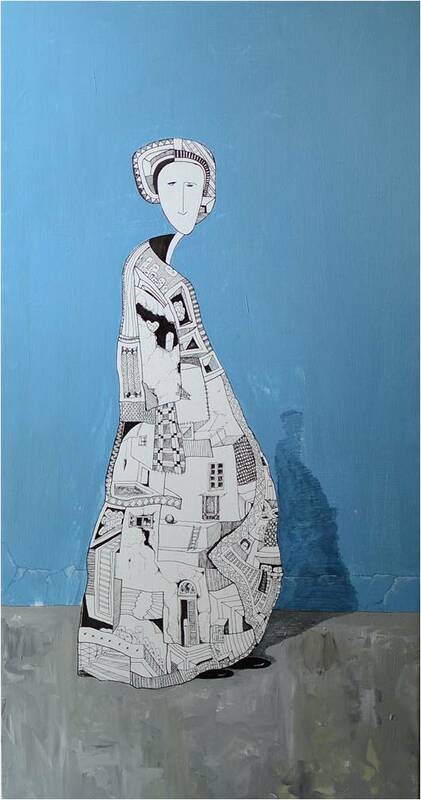 Khayata is a painter and a photographer, born in Damascus in 1985. 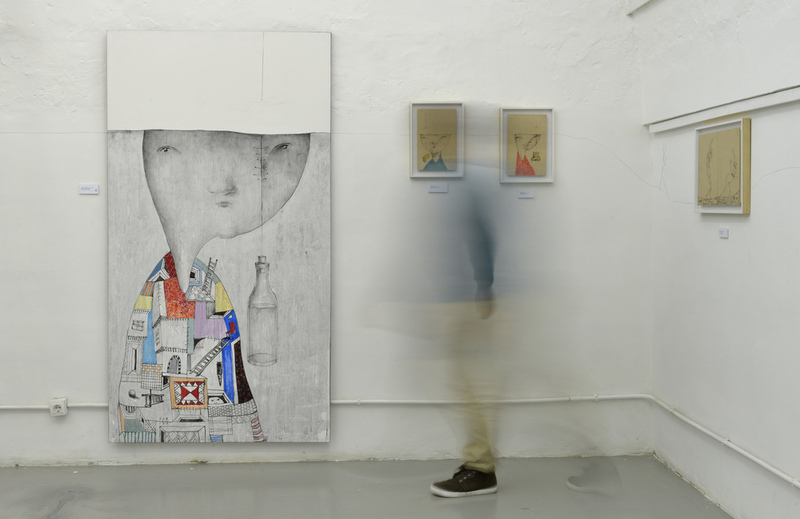 His first solo exhibition was organized in Lebanon, three years ago. 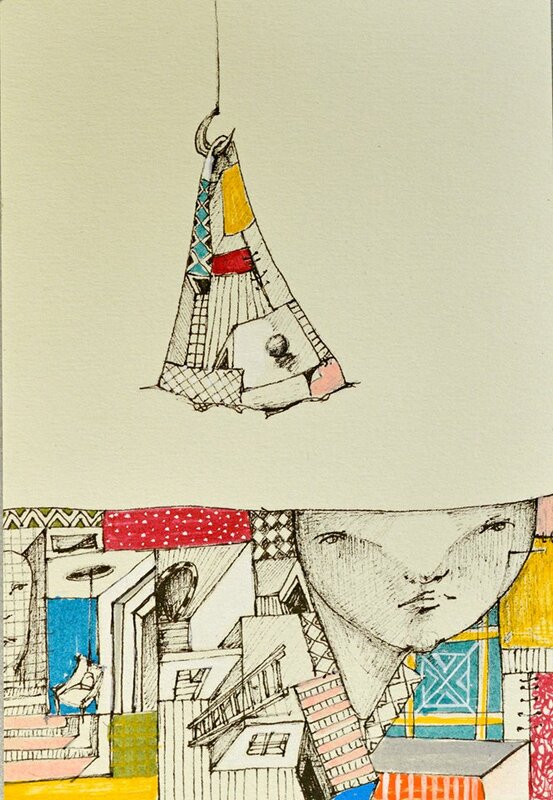 Khayata’s work is beautiful – it’s sensitive, powerful, thoughtful. 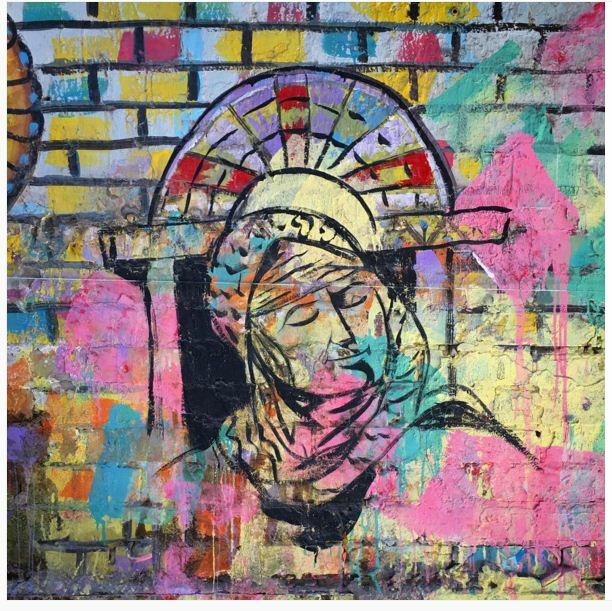 In Bits and Pieces, he portrays symbols of what went on in Syria, combining stories and memories like a patched work stitched and tied to a canvas. The images capture real life grief – from the portrait of a man wrapped in a patched quilt made of memories to another one disappearing into a patched quilt holding a suitcase in preparation to leave behind his world and life as he knew it. He started from the captured moment, sketched it and finally gave birth to an entity painted on a canvas full of personal memories, feelings and passions to make visual the unspoken words. 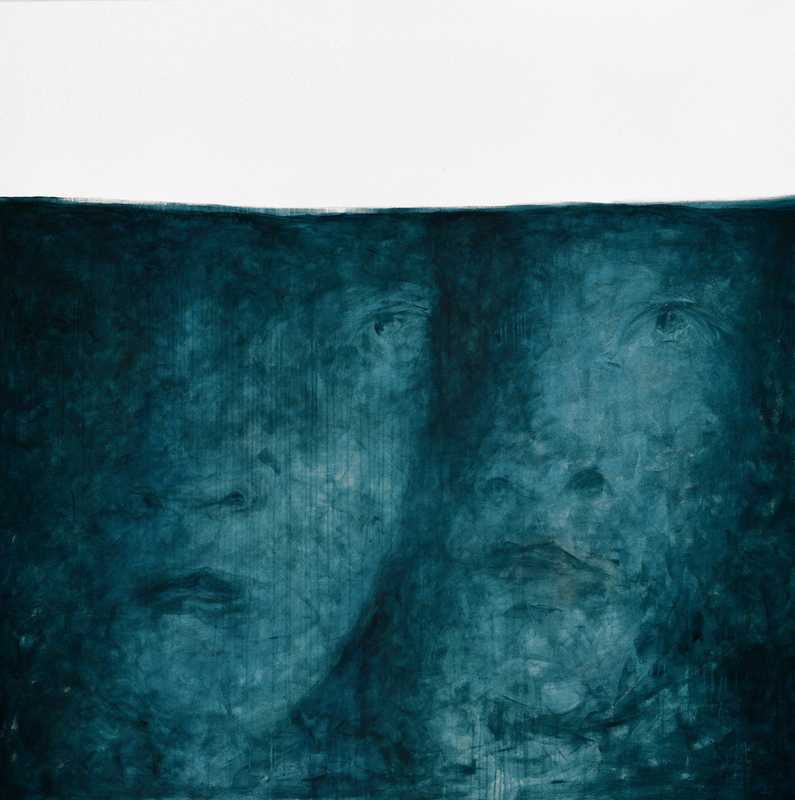 In Blue Period, Khayata starts from his brother’s story, “who filled a boat with his body and went far away for a new hope surrounded by whales, to smugglers who create creative ways to fill our bodies in tanks of chocolates and oil”. The work is about the burden of our choices, how they are forced upon us, how it can all change our lives. It is “about our choices that became rare, destiny that became like that of a fisherman who throws his hook in a sea of memories hoping his bate will catch possessing thread of power, or a suitcase to emigrate as far as you can get in this world, a bullet to kill or get killed by, or an empty bottle to lock and isolate yourself in”. Remember Khayata’s name, like I did that day when I passed by that little gallery. He is an artist whose compassion and tenderness goes a long way. For more on Khayata’s work, visit his website. Today’s playlist is a little different. It’s fifteenth of May, Nakba day, the day of the catastrophe. It is the day when hundreds of thousands of Palestinians fled their homes, when they watched skies falling on their heads, when they died or continued to live – with sadness and longing, always looking back to that all-defining 1948. 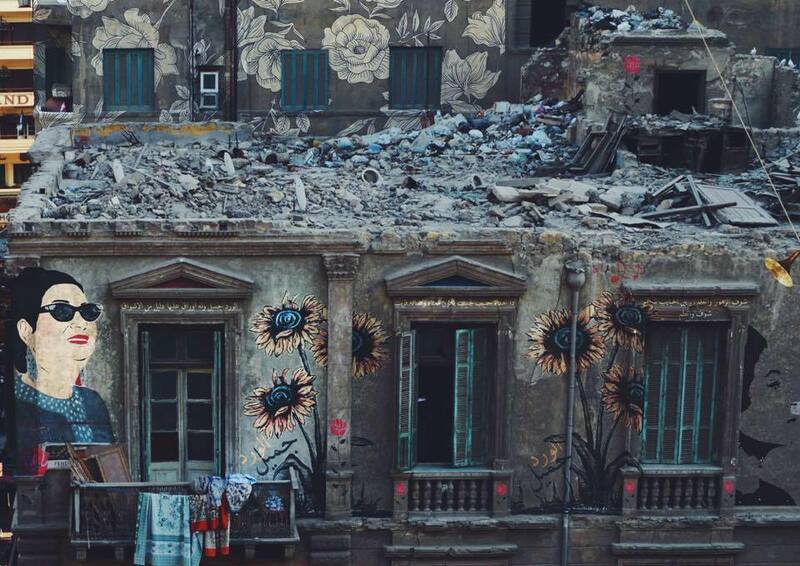 Yemen: Still Moving, Still Standing Still. HRW warned that the armed conflict in Yemen has been characterized by numerous violations of the laws of war by all sides, which have not been investigated nor have resulted in any redress for victims of unlawful attacks. “The Saudi Arabia-led coalition of nine Arab countries has carried out indiscriminate airstrikes against residential neighborhoods, markets, and other civilian structures causing several hundred civilian casualties. Ansar Allah, the northern group, also known as the Houthis, and other armed groups on both sides have committed various abuses in ground operations. Although a ceasefire was announced on April 10, fighting has continued across Yemen”, HRW report says. Human Rights Watch has documented new coalition airstrikes that appear to be unlawful. Six attacks in and around the capital, Sanaa, in January and February, killed 28 civilians, including 12 children, and wounded at least 13 others. In the past year, Human Rights Watch has documented 43 airstrikes, some of which may amount to war crimes, which have killed more than 670 civilians, as well as 15 attacks involving internationally banned cluster munitions. The HRW report comes as MSF decided to withdraw from the World Humanitarian Summit due to a lack of confidence that the summit will address weaknesses in humanitarian action and emergency response in conflict zones including Yemen and Syria. HRW is unaware of any investigations by Saudi Arabia or other members of the coalition into allegedly unlawful attacks or abuses, or of any compensation for victims. In their public statements, none of the participants in the talks has indicated a need to include accountability or redress in the peace process. Just two days ago, a number of outlets including Al Arabiya and Press TV, reported that direct peace talks were indefinitely postponed after the Hadi government withdrew due to a “lack of progress”. Meanwhile, the Houthis accuse the coalition of launching new airstrikes that killed seven people in Nihm. Couple of weeks ago, I posted the interview Status Hour did with Safa al Ahmad, freelance journalist and filmmaker who has been reporting on Yemen since 2010. In case you haven’t done it yet – do listen to Ahmad, she is one of the few reporters able to talk about the complexity of the situation on the ground in Yemen today. 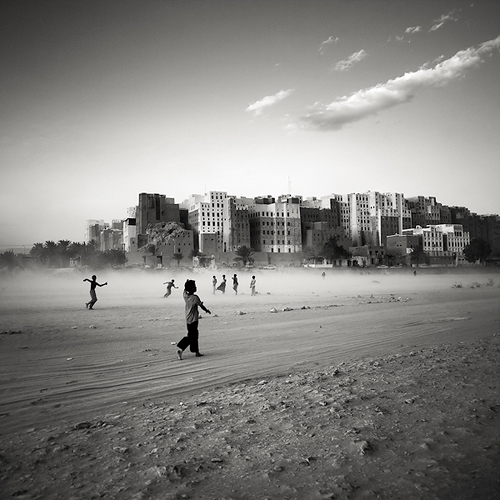 Throughout this post, I included photos from the great Austrian photographer Josef Hoflehner, most of them taken in Yemen in 2005. I chose the photos that (to me) depict a state of waiting, of moving (and wanting to move) and standing still at the same time. 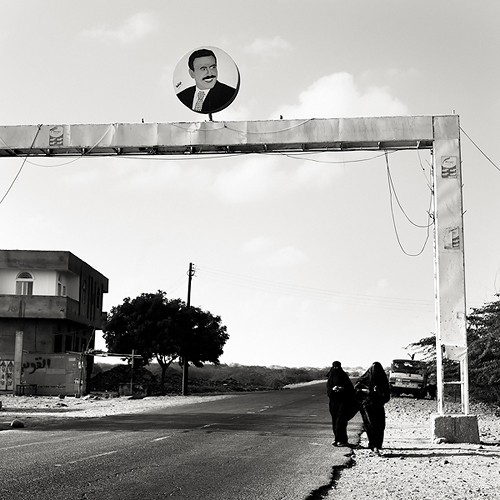 I think that is the state most Yemenis find themselves in these days. 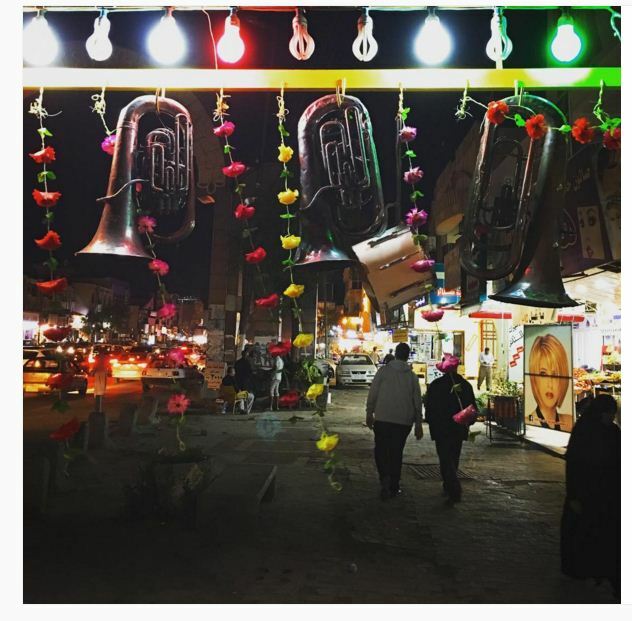 Nawar Tamawi’s Instagram Guide To Iraq. Meet Nawar Tamawi. 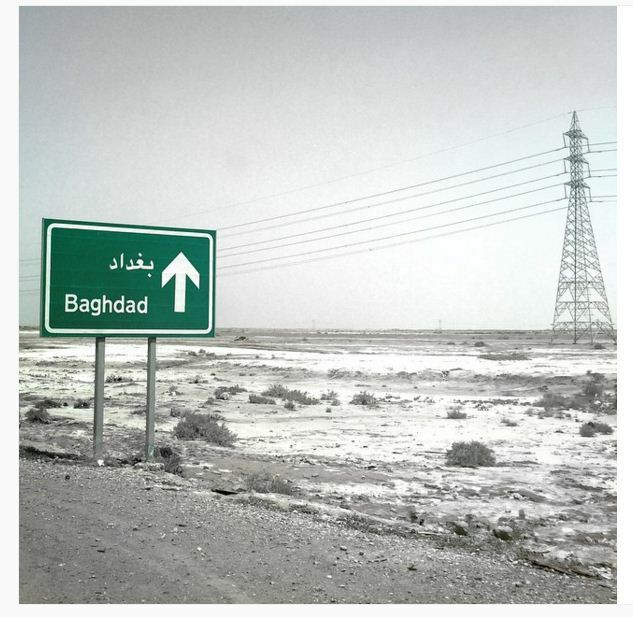 Tamawi always hated the way Hollywood portrayed Iraq – either as an eternal warzone or a desert full of camels and belly dancers. 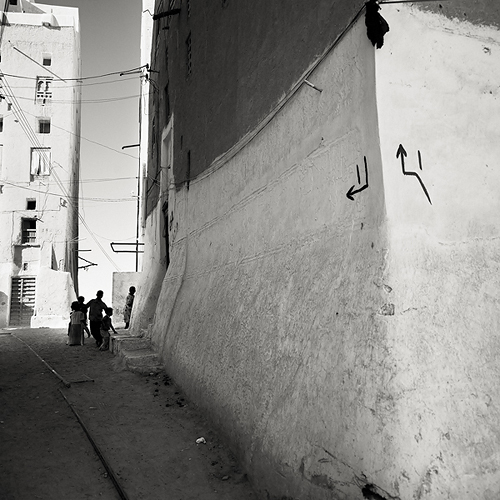 He started taking pictures, as a way of fighting against these narrow (mis)conceptions about his country. 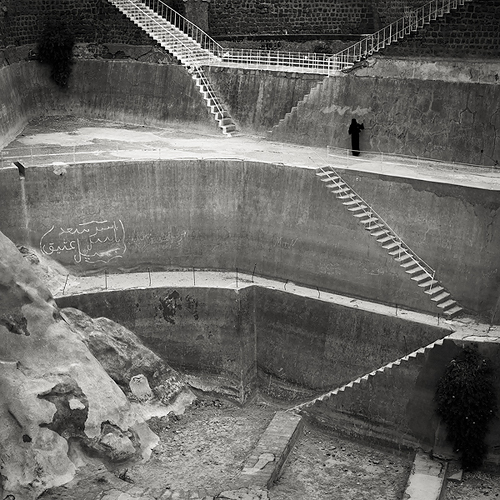 He has set a goal for himself to capture the beauty of all eighteen provinces of Iraq – unfortunately, some of the places he wants to visit are still largely dried out and neglected. 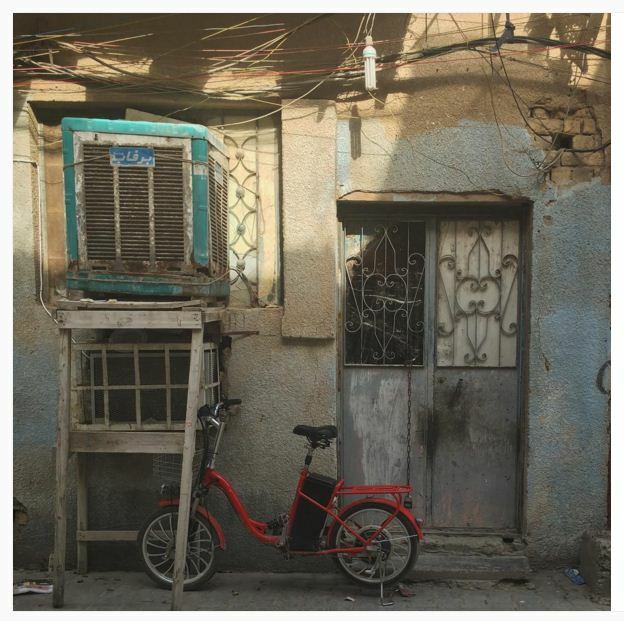 He writes how life in Iraq is getting more unbearable, day by day. 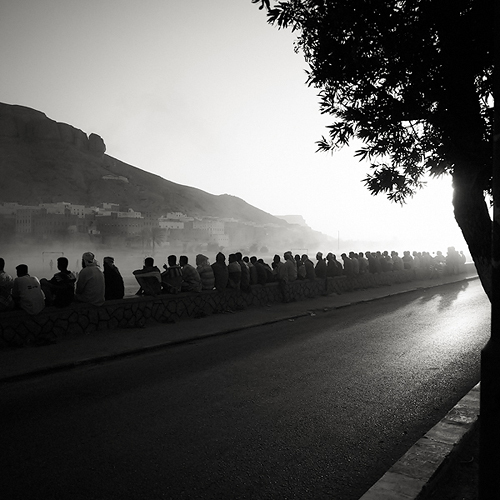 Tamawi writes: “More and more, I feel like an outsider in my own home. There’s constant chaos and uncertainty. People’s opinions aren’t respected. I don’t want to be part of a herd that is walking through its days with no control over anything that is happening around it. 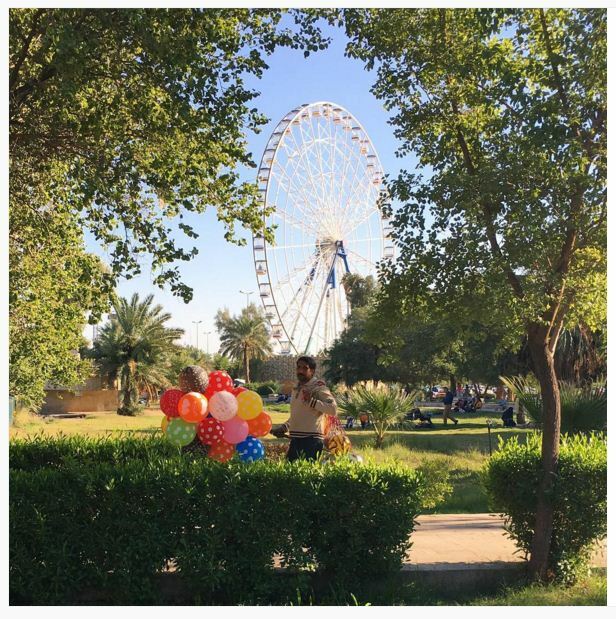 Tamawi also recommends some other Instagram accounts that you need to follow to see Iraq in a way most media outlets refuse to show. 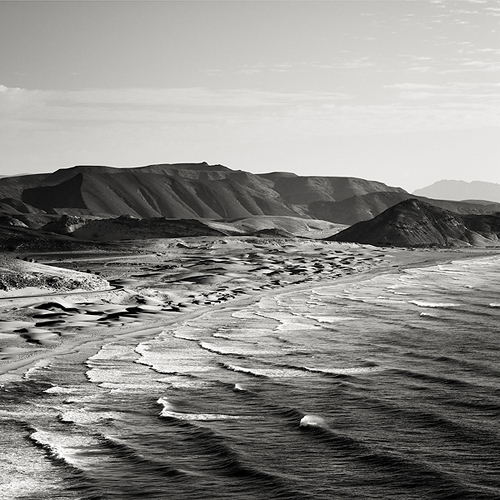 Read more about it here and be sure to go through and follow Tamawi’s Instagram profile.